The quality of the projection and sound is contemporary! 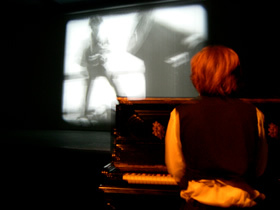 The movie- concert is a film projection in which one or more musicians accompanies a silent film. The largest railway pursuit of film history. True masterpiece. 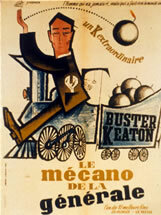 One of the best films of Buster Keaton, one he said most proud. Possibility of intermission or projection at once. Outdoors or indoors.